There are many people who want to learn the piano, but they don’t know exactly where to start. For some, it all seems too complicated to even dare; others start but soon lose interest. When you think about self-teaching piano, one question pops up regularly: am I up to it? If that question is vexing you, know that it is definitely possible to learn the piano all by yourself. Yes, you can be your own piano teacher! Mind you, this way of learning definitely comes at a cost, and it’s not easy – that’s for sure. However, if you really want to do it, and you put enough effort into it, you will teach yourself how to play the piano. It might take some time, but you’ll get there. 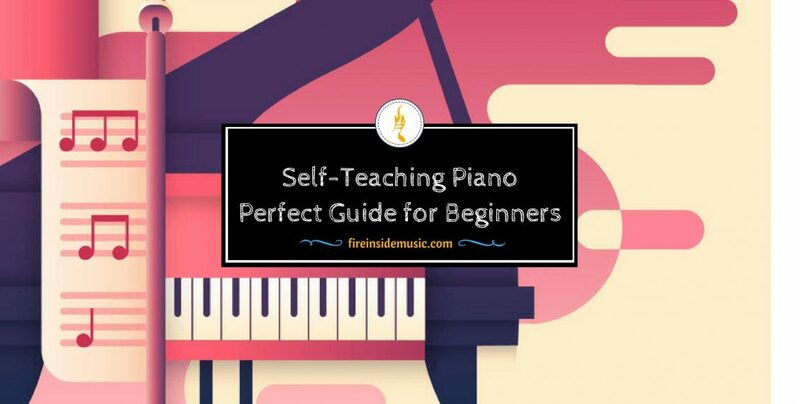 In this article, you will learn all there is to know about self-teaching piano, including the best practices and advice on what to do in the process. If you follow the tips presented, you will be able to teach yourself the piano sooner than you think! Let’s begin! This one of the most important, if not the most important question you have to ask yourself before you start learning the piano. Why do it in the first place? The answer you give to yourself will determine your learning curve, as well as your overall playing in the years to come. If your goal is to play a little bit for yourself, or impress your friends at parties, know that this is very easy to do. This goal can be reached quite easy, and in a short period of time. What’s even better is that you probably won’t have to invest a lot of time and energy into practicing. When you want to play only for your own amusement, then it doesn’t matter if you make a mistake here and there, as you can always stop, go back and correct yourself. Also, you don’t have to know entire songs, or the lyrics to them, if there are any. You can start off casually and see where it all takes you. On the other hand, if you want to become a “more serious” piano player, you should know that it will require a lot more time and energy. You will be expected to know a song from beginning to end, to know the lyrics, the melody and all the chords it contains. 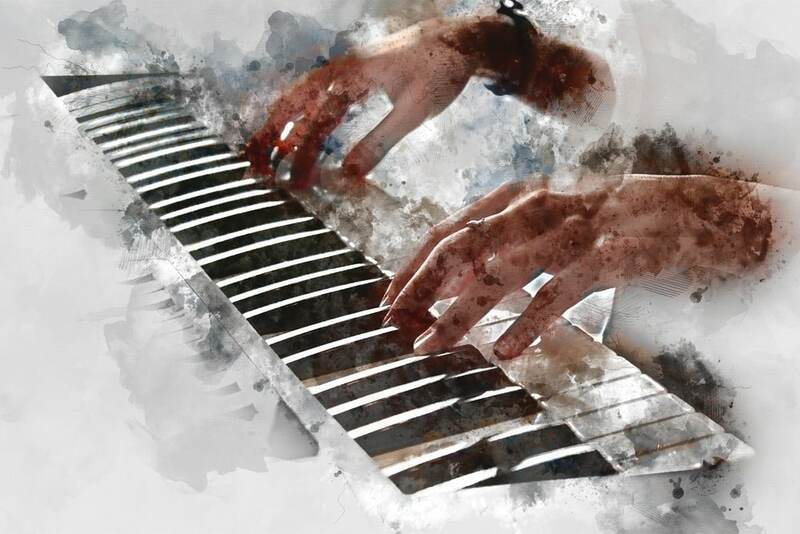 Furthermore, if you dream about performing in front of an audience, then you will really have to invest a lot of energy into practicing the piano. Live performances require a special kind of focus and mindset – otherwise, they can become a nightmare. Also, once you know why you want to play, you might develop upon that even further. Think about certain musical genres you enjoy listening to. Would you like to play those as well? It’s not the same if you enjoy the blues and, let’s say – classical music. Or jazz, for that matter. Every musical style has its own set of inner workings, and it’s best if you know what you want right from the start. This will make the whole learning process much easier, and much more enjoyable. Once you know your end goal, the whole learning process won’t be a drag, but a fun adventure. It’s impossible to learn how to play the piano without covering the basics. The basics do not refer to actual piano playing, but to that which precedes playing. In order to play properly, you have to sit properly. 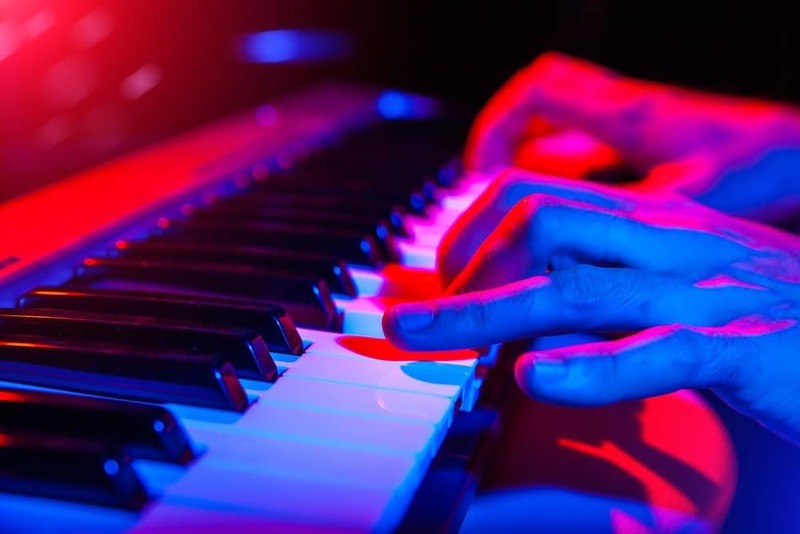 It doesn’t matter if you’re playing on a grand piano, or an inexpensive beginner keyboard – proper posture is the key to good playing. You see, the thing is that, if you’re not sitting properly, you will soon experience back pain and that will, in turn, hinder your practicing. Playing the piano requires spending a lot of time in front of the instrument; this is why you need to develop healthy posture positions. The piano should be around the level of your waist, maybe a bit higher – but not too much. Your hands should fall down naturally on the keyboard, and you shouldn’t exert extra pressure on them. Your back should be straight and your neck must not be bent too much. No matter if you’re an amateur or an aspiring professional pianist, these are the rules that you should definitely follow. There is no such thing as an “amateur posture”. Posture is posture, and what you do later on is a different thing. 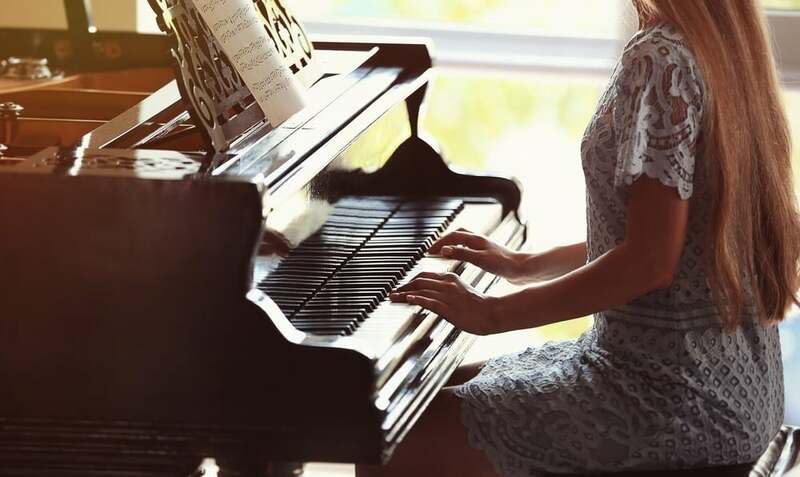 Once you’ve learnt how to sit properly while playing, and how to position your hands on the piano, you may move on to the next stage, which is – the actual playing. Basically, there are two schools of learning the piano, even when self-teaching is concerned. You can either learn to play by ear i.e. without bothering to learn the rules and the music theory, or you can start by learning the theory first and build from the ground up. 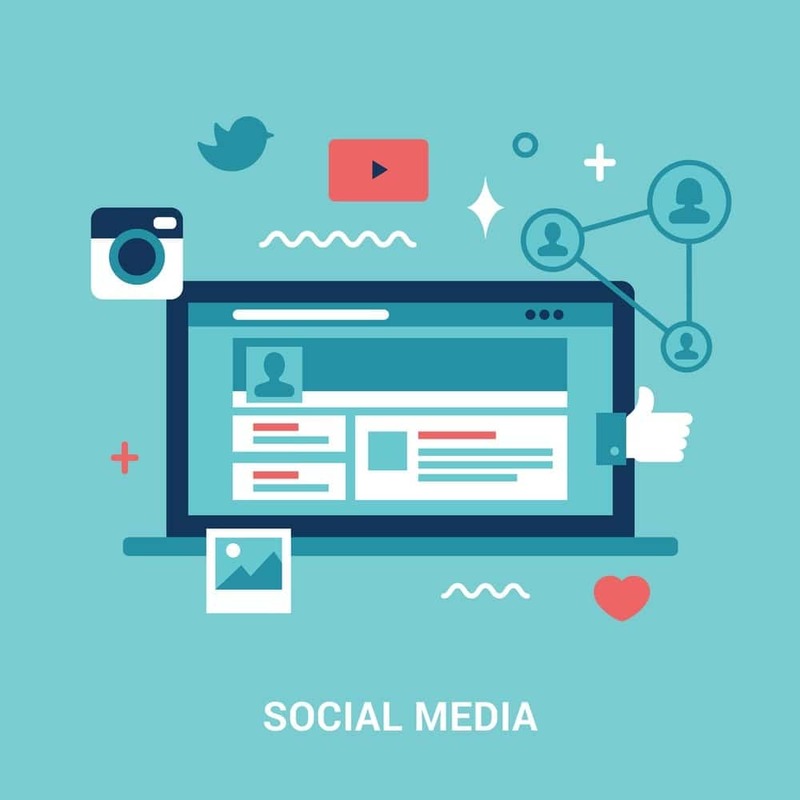 How to choose the right approach? Well, again – it depends on what you want to play and why. If you don’t have great ambitions about your piano playing, you can directly move on to actual playing. However, if you want to become more knowledgeable about the piano, and turn yourself into a scholar, you should start with the theory first. Playing by ear usually refers to learning a couple of basics chords and playing around with that. You can also learn some scales along the way, but it’s not necessary. There are a lot of self-taught players who don’t know any of the scales – they simply fumble with the few chords they know. Mind you, this doesn’t necessarily have to be a bad thing. If you prefer to keep thing simple, you can stick with a couple of basic chords and that’s it. For starters, you can learn the C major, G major and F major chords. On top of this, learn the A minor, because it’s also very easy. As you see, these are just four chords, but you can learn a lot of songs with them. There are plenty of YouTube videos about four-chord songs. You’ll be amazed how many of them there are! The great thing about music is that you can make a lot of variations around only four chords, and yet make every songs feel fresh and unique. With these four chords, you can also do some composing, if that’s your thing. Basically, three to four chords is all you need to compose a pop song. Jazz and classical are a different thing altogether, but pop music is quite simple and easy to play. As for the scales, know that you can definitely learn them by ear, without knowing their actual names, of the names of the notes. All you have to do is to memorize the positions of musical scales, and use them in your playing. Learning music theory requires a different approach from learning to play by ear. Here, you don’t immediately start with the actual playing. First, you learn the musical notation, including all the “rules” for reading sheet music. You learn about different kinds of time signatures, different musical traditions, etc. And not only will you be able to read music, but you will also be able to know what notes you’re playing at any given time. Your understanding of music will be broader and more complete. Playing by ear limits you in a number of ways, although it will get you to actual playing more quickly. And now we come to a very important issue. Although we’re talking about self-teaching piano here, know that it’s impossible to do this completely on your own. The term “self-teaching” refers to learning without any kind of mentor, or tutor by your side – but you still have to learn from somewhere. The best place to start with an instructional tool on how to play the piano. Be sure to find something that’s suitable for you, so that you don’t have any problems while learning. 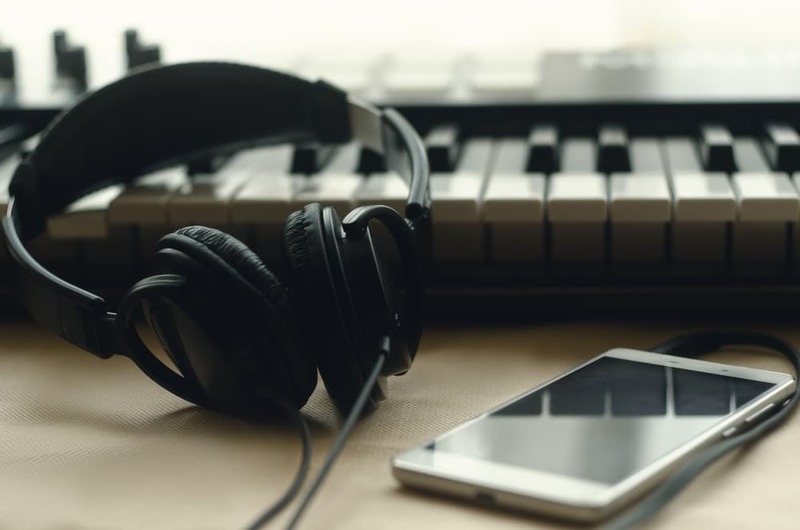 If you already have some kind of music education, go for more advanced content, but if you’re a total rookie when it comes to music, the best thing would be to start with a beginner book or video course. The internet is filled with resources for piano learning, so you’ll definitely find something worthwhile. A piece of advice, though: if you’re buying a beginner course, don’t overpay for it. Beginner courses are important, but they are not as detailed as more advanced courses. Purchase within reason and go for the most informational content. A good idea for improving upon your playing is to set up a practice schedule. It doesn’t have to be too much at first, but it should be conducted on a regular basis. If you’re a complete beginner, the best way would be to set up practice sessions three times a week, for thirty minutes. In time, you can increase this to one hour, then to an hour and a half, etc. You can even start playing every day. However, if you’re just starting out, it’s probably the best not to force yourself too much. 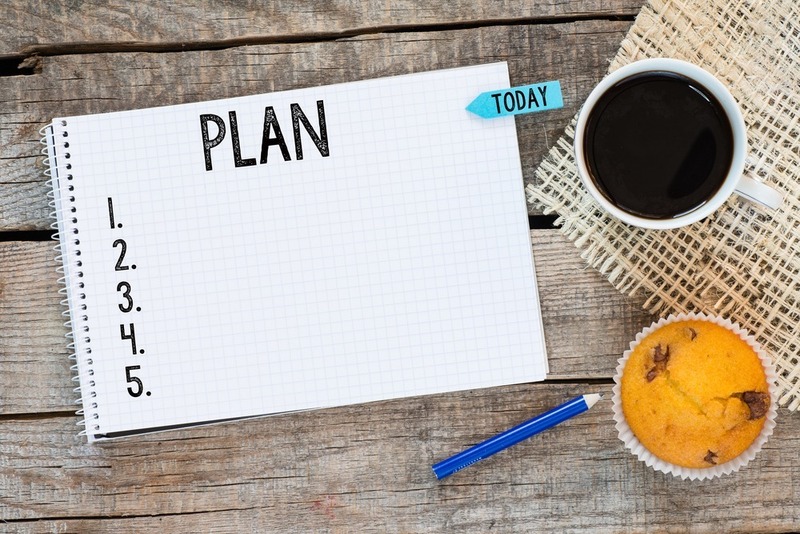 The key aspect of a practice schedule is – developing a solid work ethic, which will pay off in the long run. Obviously, if you’re self-teaching piano, you will run into a lot of problems along the way. Be prepared for it. Learning the piano all by yourself is not an easy process, so don’t expect everything to go ahead smoothly. You’re bound to run into problems that are going to slow you down. When this happens, write down your problem in a notebook or a “playing log” you’ll be keeping while learning the piano. By doing so, you will be able to keep track of your progress and work on your playing mistakes and problems. If you notice that a certain problem keeps reappearing, consult an online forum or a professional musician and ask for advice. You can also search for YouTube videos on the topic. This might seem funny to you, but it does work. When learning how to play the piano, you’re focused on yourself, your playing and the piano in front of you. But, how does it all look like? 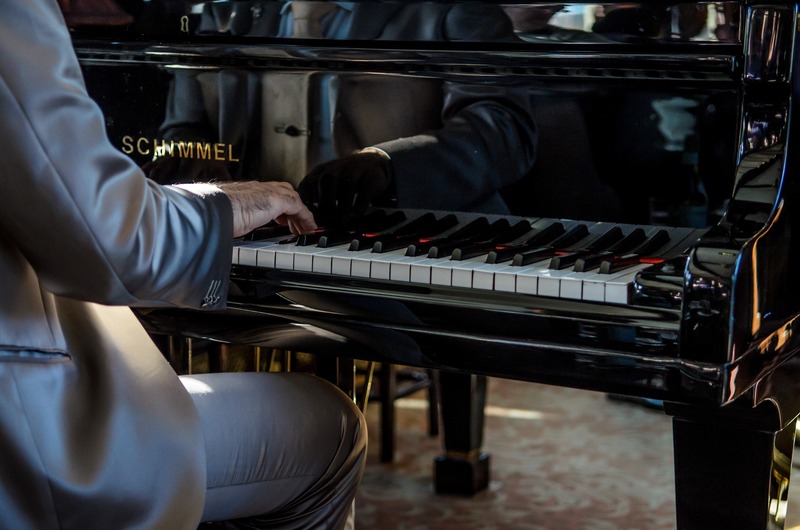 Yes, you know what proper posture is, and yes – you “know” you’re playing all the notes right, but it’s definitely hard to see yourself from afar and evaluate your playing unbiasedly. 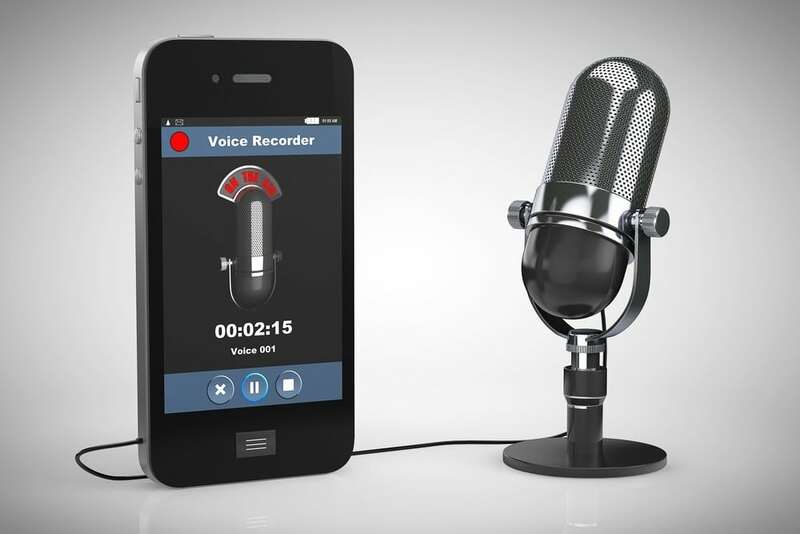 This is why it’s great if you can ​record yourself. Use or webcam, or your phone, and position it in such a way that it covers your whole posture, as well as the keyboard. You can also do separate records of your hands on the keyboard, and your posture while playing. When you watch the recording afterwards, you will see if you’re playing properly, or you’re making mistakes along the way. If you’re playing a song with lyrics, even better! You’ll be able to actually hear yourself singing on a recording, which is different from hearing yourself “in your head”. Thus, you’ll be able to notice some intricate moments in your singing, and see where you can improve. Now, this is definitely not easy to do, but it’s extremely useful for your progress on the piano. One of the biggest problems self-taught piano players face is – how to play in front of others? If you’re learning all by yourself, chances are that you haven’t had a lot of people watching you play, right? If we add to this the fear of public appearances, or fear or public performance, you’ve got yourself a problem. The only way of getting rid of this fear is – fighting it head-on. It’s perfectly normal for all piano players to experience stage fright of the fear of performing. However, those who attend music schools, or work with a tutor, tend to lose this fear quite soon due to exposure to other people. So, in order to feel comfortable playing in front of people – go on and play in front of people, simple as that. Mind you, it doesn’t have to be done in front of a lot of people right from the start. You can start by playing something to your friend, partner or spouse. It can only be one person for a while. Then, start playing to an audience of two, five, ten, etc. You get the picture. Soon enough, you won’t even notice how many people are in the room, and you’ll be able to play freely and without restraints. Self-teaching piano can be slightly more complicated than learning with a tutor, but it also doesn’t have to be. If you’re talented enough, and if you have enough determination, you will definitely learn piano by yourself in a reasonable period of time. Of course, as with everything, the most important thing is to have a clear goal and never give up on it. Don’t rush things – take your time and have fun in the process of learning the piano.